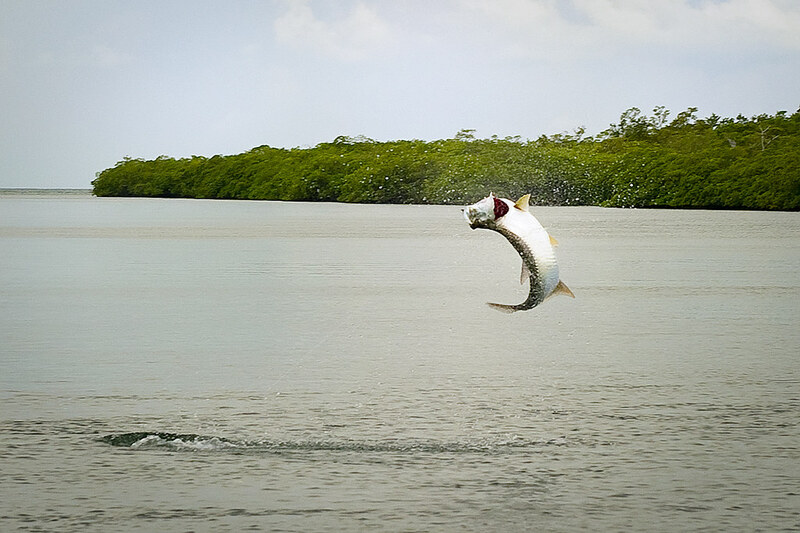 Turneffe Flats – Belize Fly Fishing: Belize has become a mecca for fly fishing travelers, divers and wildlife tourists over the last 30 years because of its beautiful and relatively untouched landscapes, ocean flats and reef systems. 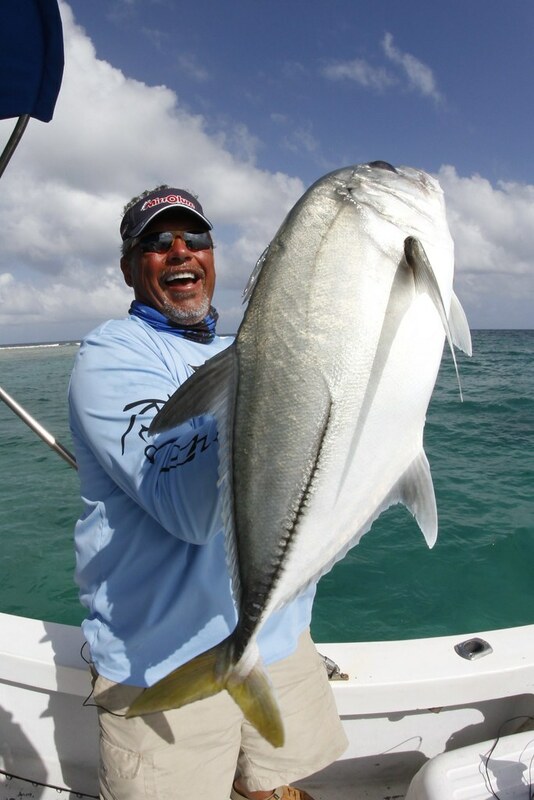 Fishermen have long been attracted to the Belizean flats for the unique and consistent grand slam opportunities that exist year round. 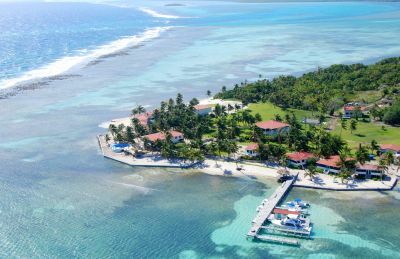 Turneffe Flats exemplifies the best of what Belize offers from diverse fishing to world class diving to wonderful hospitality. 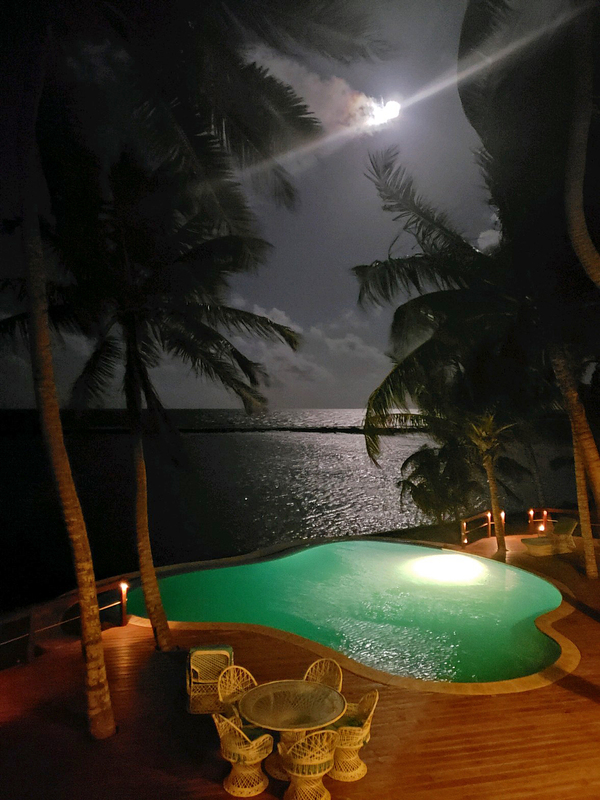 Turneffe Flats is located on the Turneffe Atoll, the largest of Belize’s three coral atolls (300 square miles) including 450 islands and over 400 small ponds and lagoons. Turneffe Atoll is located 30 miles east of Belize City and is well known for its isolation and plentiful aquatic life that exists around its coral reef, flats and lagoon. 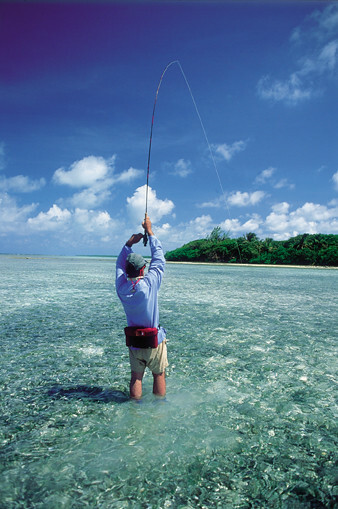 As you make the journey to the atoll, you realize the remoteness of the destination and the subsequent sensation of knowing that only you and a handful of other lucky anglers will be casting to the vast populations of fish that call the endless waters of Turneffe home. 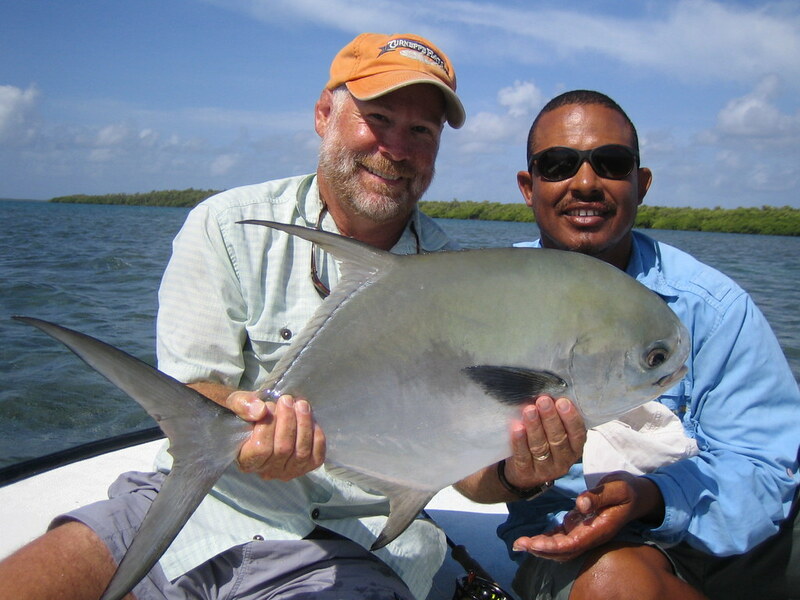 The amazing variety of fish species and style of fishing in Belize is fully represented at Turneffe. 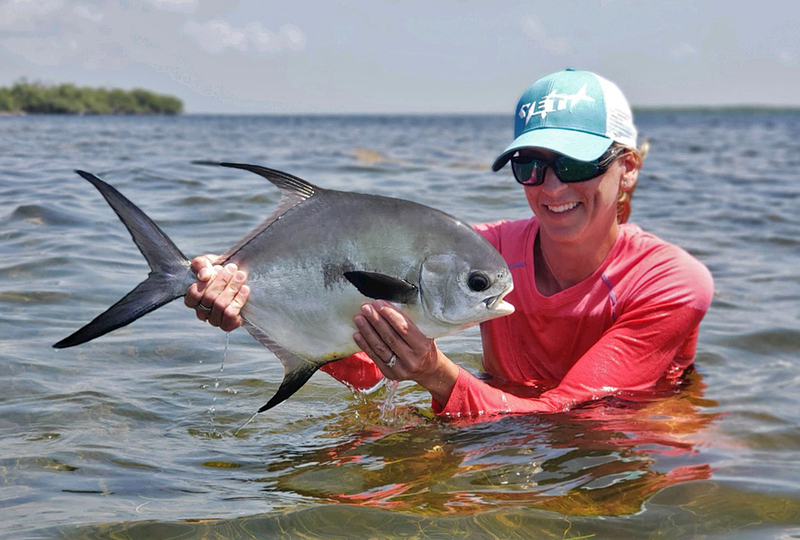 Each day, one can choose between chasing permit in the 15 mile long central lagoon or along the outside coral flats, stalk bonefish on foot in less than a foot of water next to the reef, dredge channels for big resident and migratory tarpon or chase snook and a variety of other species in the mangroves. Although diverse in its offerings, the permit and bonefish fishing stand out above the rest. 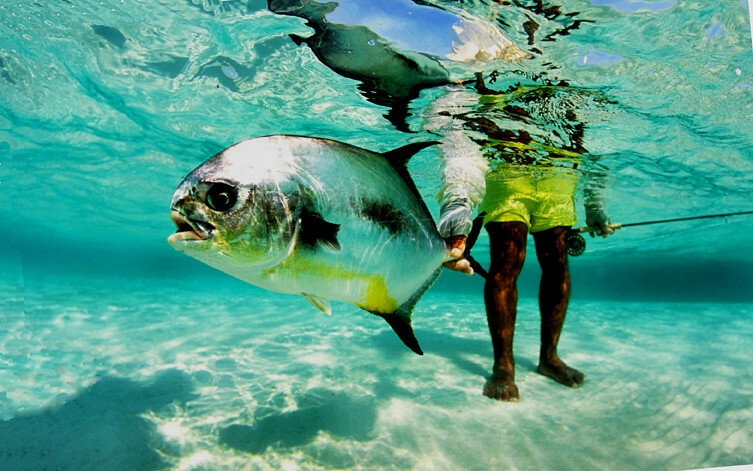 The deep waters that surround Turneffe hold sizeable permit populations that come onto the sand flats and into the lagoons with the tide to feed. The large, feeding schools of permit that cruise in the lagoon offer some of the best chances at hooking a permit anywhere in the world. 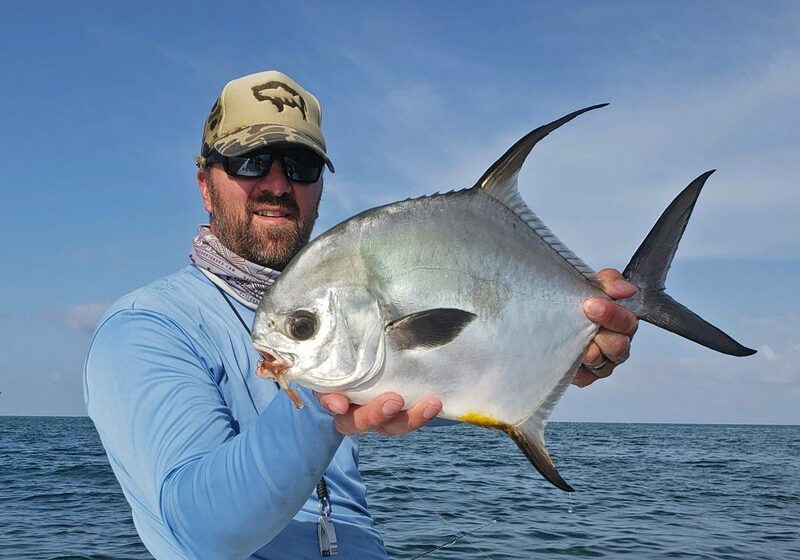 Weather dependent, every angler at Turneffe typically gets multiple opportunities at permit over the course of their week on the atoll. 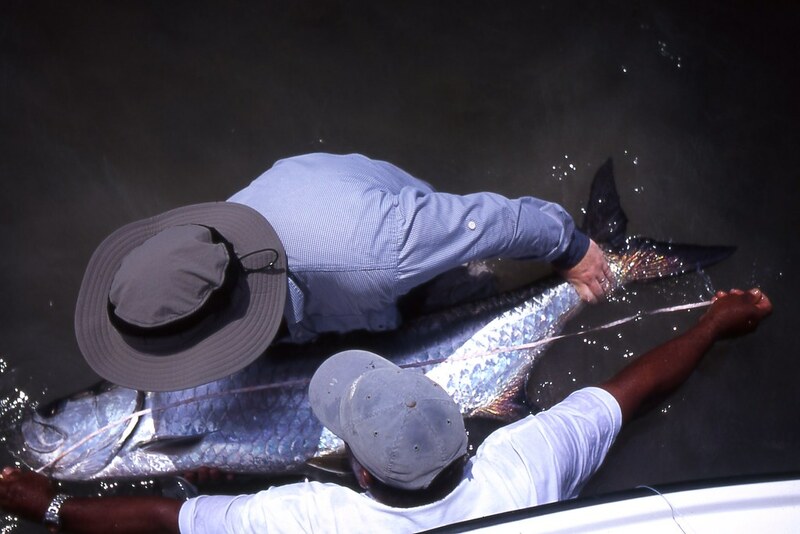 The bonefish of Turneffe are larger than the average Belizean specimens with most fish between the 3lbs and 6lbs mark but larger 7lbs -10lbs fish are caught with some regularity. 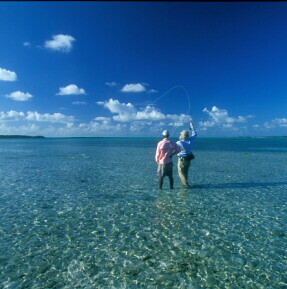 The best part about fishing for bones at Turneffe is that most of it can be done by foot on the coral flats. Combining the precision and excitement of saltwater flats fishing with the sensation of stalking individual or schools of bonefish by foot epitomizes why people love to fly fish. 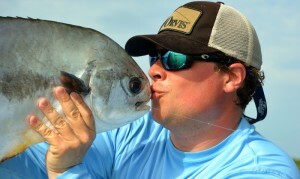 Its the blended cocktail; mixing everything that fly fishing is meant to be. 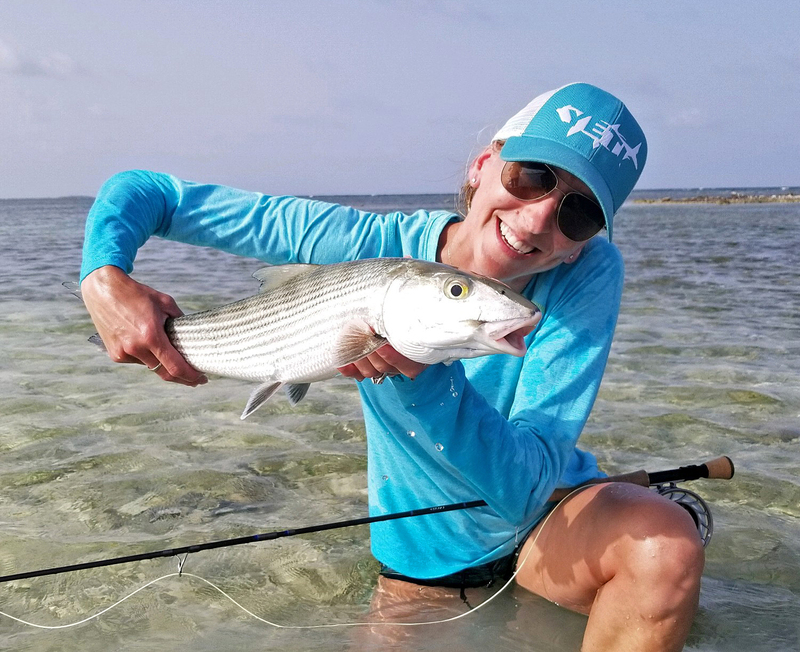 There is even a “home flat” right in front of the lodge that more often than not has numerous tailing bonefish and during an incoming tide, cruising permit. 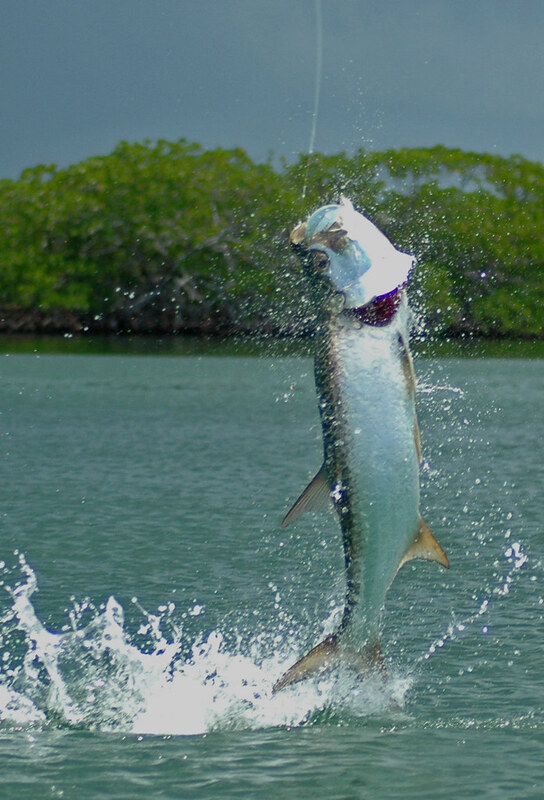 For the more energetic fishermen, the home flat offers world class fishing before breakfast each morning and after the full day on the boat. 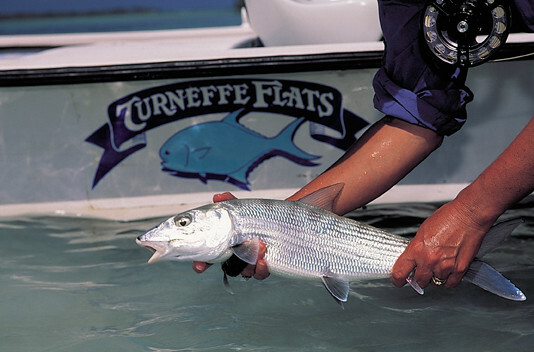 Turneffe Flats’ reputation as one of the best fly fishing lodges in Belize is primarily due to its wonderful staff and atmosphere. 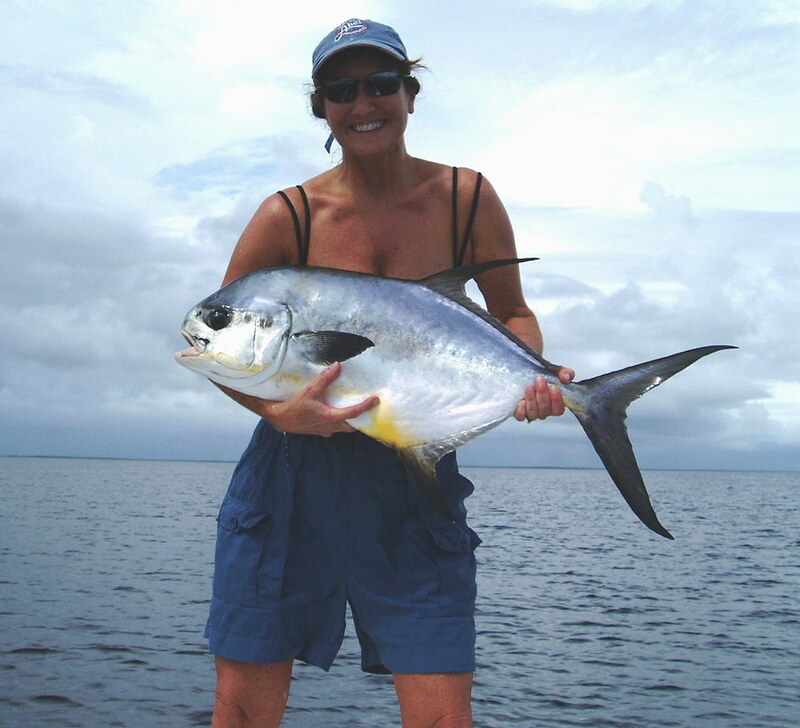 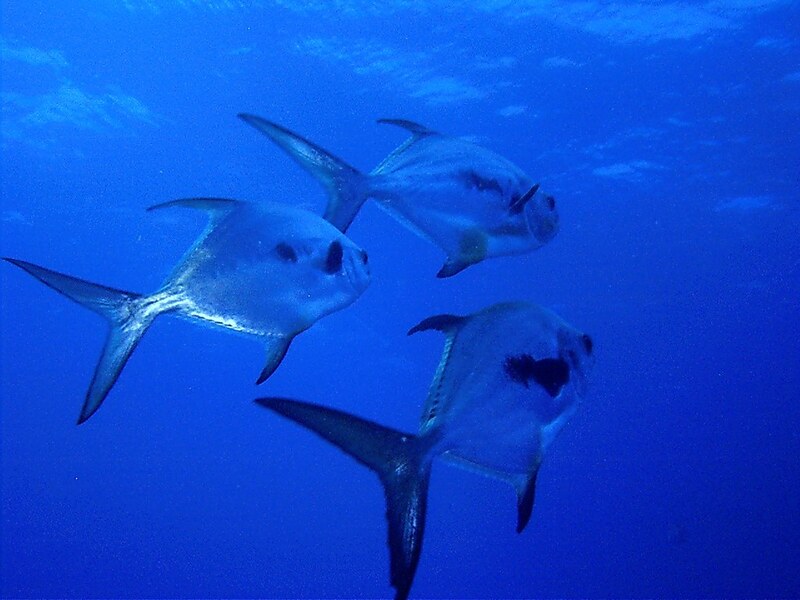 Most of the guides at Turneffe Flats have been guiding the atoll waters for twelve or more years and have amazing wealth of experience and knowledge about the fish and their feeding habits. 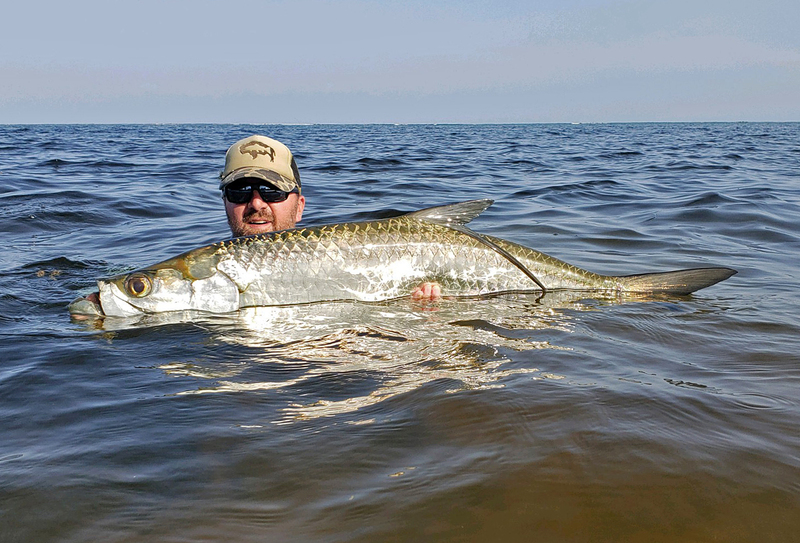 Each guide naturally speaks English, which is very helpful on the saltwater flats where clear communication between angler and guide is paramount. 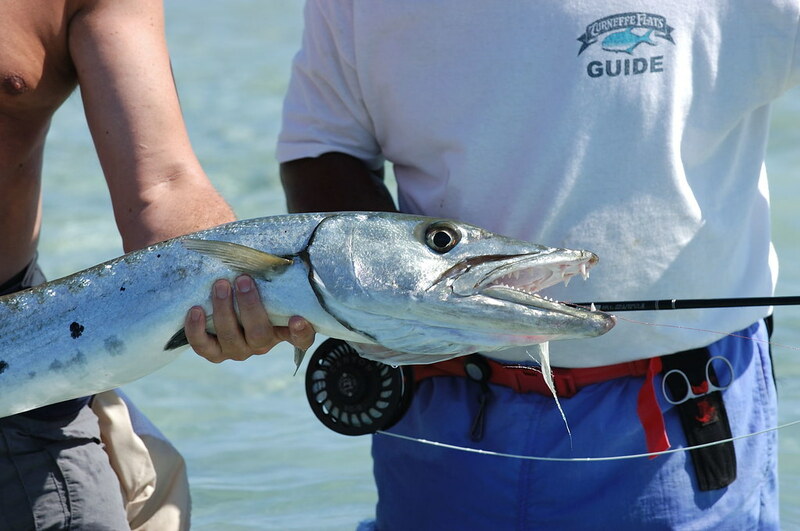 To enhance the fishing experience even more, each guide has their own dolphin skiff with optional leg braces. 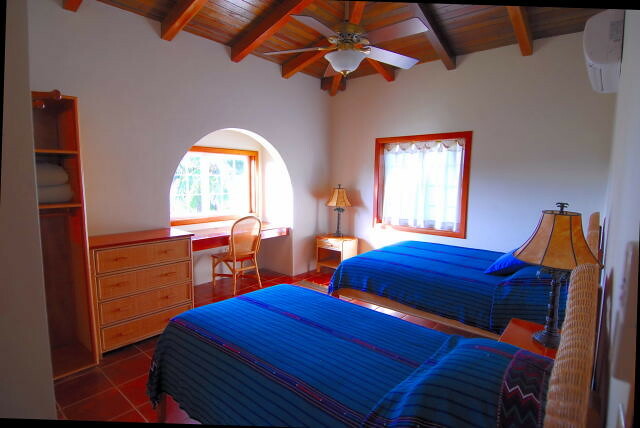 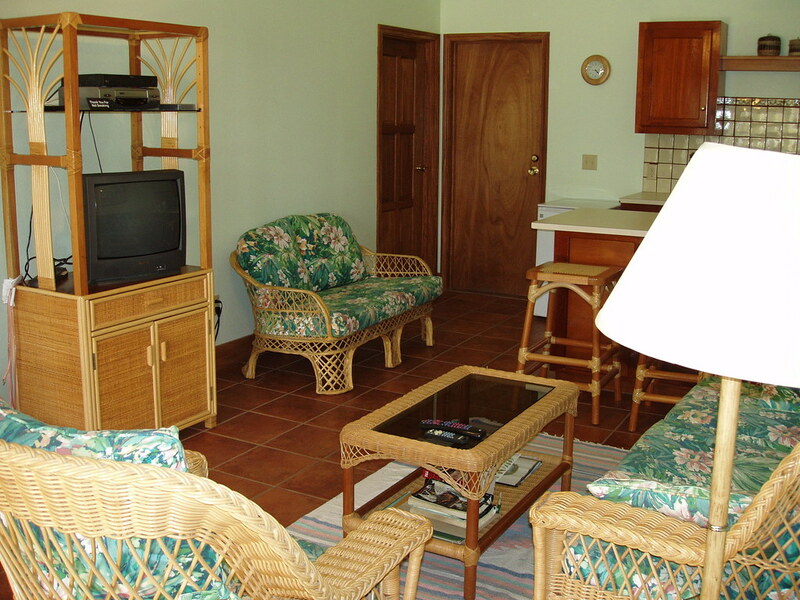 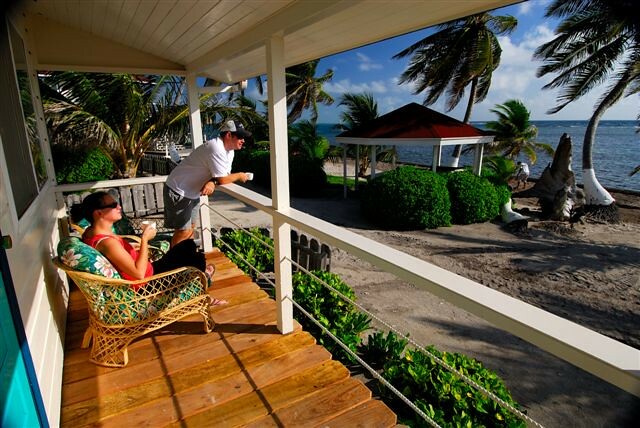 One of the biggest attractions to Turneffe Flats is the diversity of activities that the lodge offers. 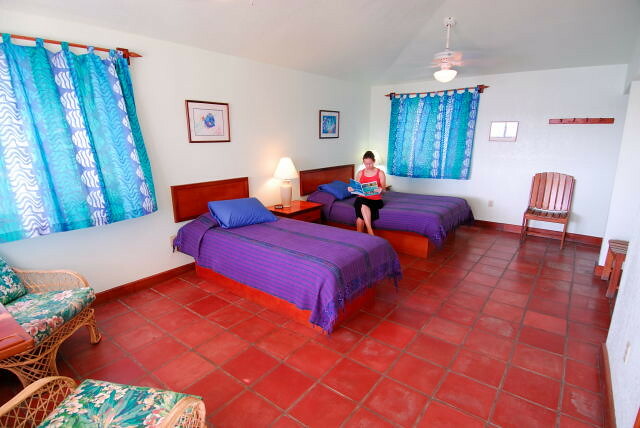 Offering one of the best diving programs in Belize and access to some of the best sites in the Caribbean including the “The Blue Hole”, Turneffe has become an absolute favorite for families whose passions are diving and fishing. 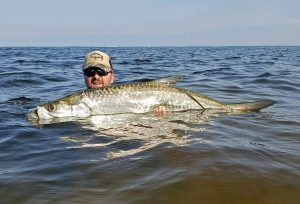 For those interested in neither, Turneffe Flats has created a truly unique and special activity: The Atoll Adventure Program. 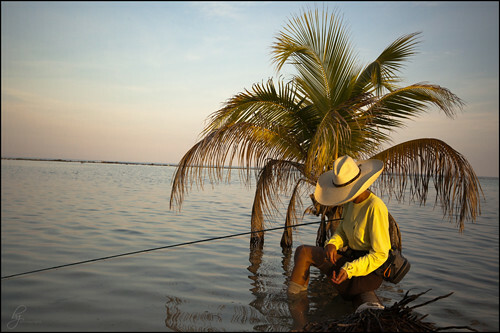 This program is lead by the adventurous and very knowledgeable Abel who constructs a flexible, daily list of recreation that includes snorkeling, hiking, searching for crocodiles, and exploring the reefs at low tide. 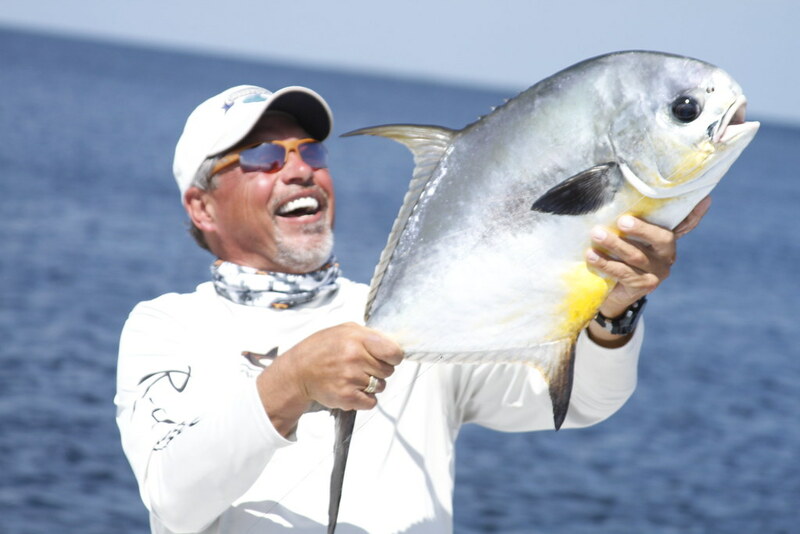 This program has become tremendously popular over the years, especially with family members who are not solely dedicated to fishing or diving. 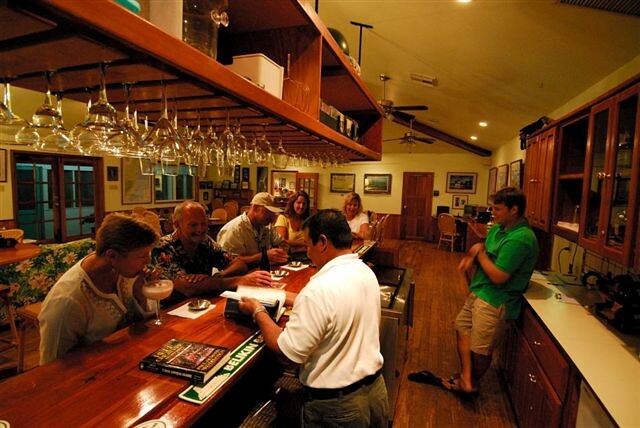 Under the same ownership and management since its foundation in 1981, the lodge is run with first class professionalism and attention to customer service. 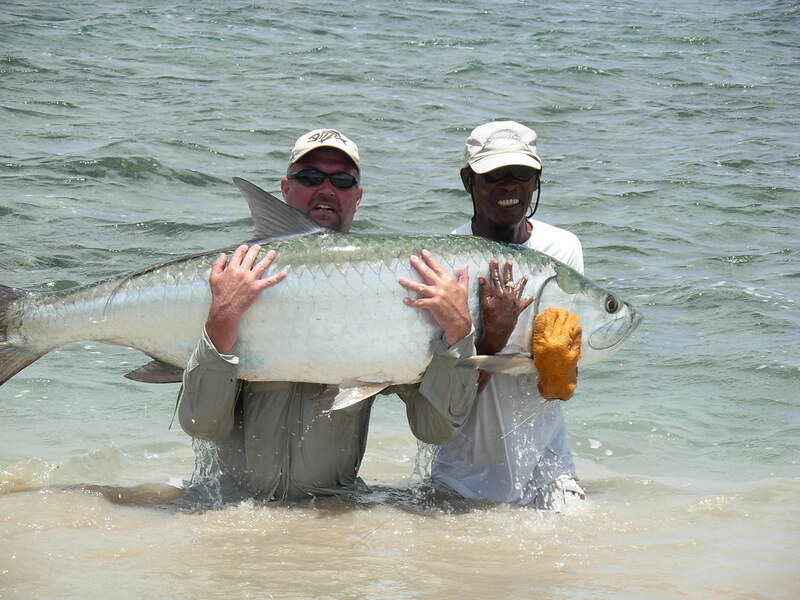 The consistency of the fishery is only matched by the reliability of the lodge staff, who have come to understand how to run a first class eco lodge on a remote island.